Voici une petite application qui est bien pratique, elle vous permet de gérer vos sauvegardes Nandroid et également de récupérer les données qu'il y a dedans. Je viens d'apprendre sur un autre sujet que Titanium Backup le fait également, mais uniquement la version payante. * Support des sauvegardes TWRP et Clockworkmod (v5 & v6). * Permet de supprimer ou renommer les sauvegardes. * Vérification du MD5 des sauvegardes. * Permet de compresser les sauvegardes en ZIP. * Extrait les fichiers des sauvegardes. * Restauration des SMS/MMS depuis les sauvegarde Nandroid. * Restauration des points d'accès WIFI depuis les sauvegarde Nandroid. * Restauration des connexions Bluetooth depuis les sauvegarde Nandroid. * Restauration du journal d'appel. * Restauration des applications et des données depuis les sauvegarde Nandroid. * Restauration du dictionnaire personnel. 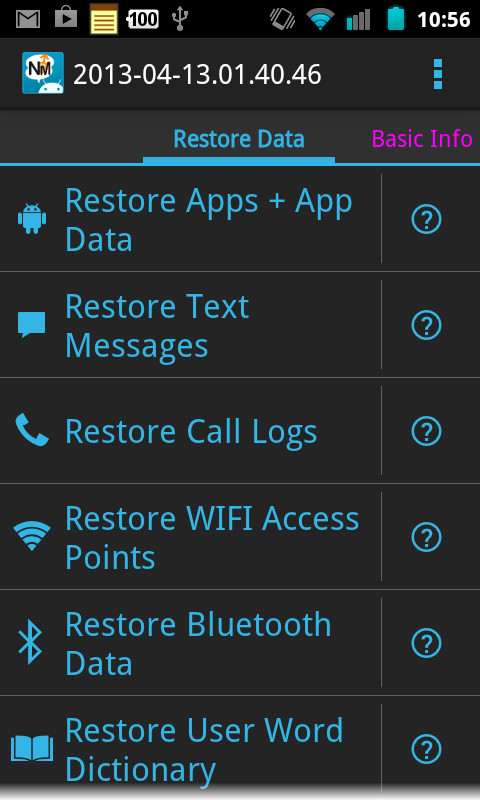 * Restoring bluetooth now checks to make sure the restore data is compatible with current android version. * Call logs can now be restored from nandroid backups of stock Samsung roms to any rom. * Improved support for .img files. * Fixed flash zips via recovery problem on HP TouchPad devices. * Fixed force close when restoring asec apps. * Fixed bug that prevented app from opening backups made with TWRP v2.6+. * Fixed bugs reported via google play. * Added translations provided by the community. ** The rest of the app will be translated soon! * Apps in the ASEC format, paid apps, and apps on SD-Card can now be restored! * Fixed bug that prevented bluetooth data from being restored on jellybean devices. * UI has been tweaked a bit to better fit with the Online Nandroid Backup UI. * Fixed FC's that were reported by users. * Fixed bug that prevented MD5 hashes from being verified. * Fixed some user reported bugs. * Fixed bug that prevented some TWRP folders from being auto detected. * Full support for restoring data from split cwm backups. * Added link to become beta tester in settings. 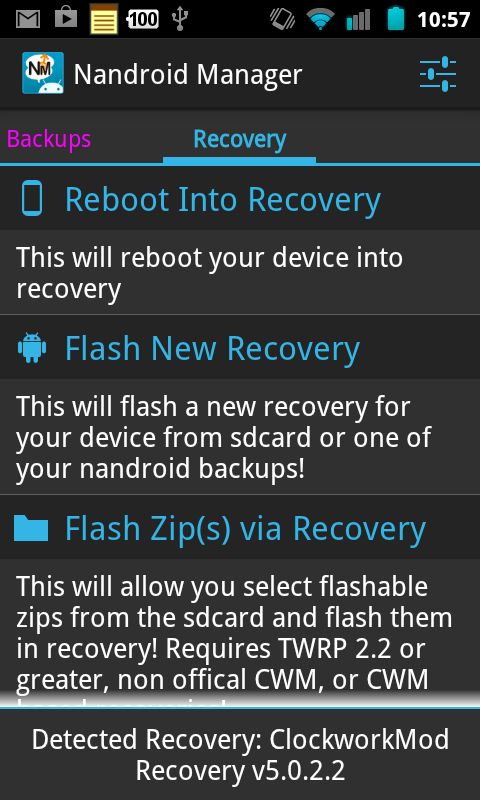 * Folders can now be extracted from nandroid backup. * Added tips & info screen to Explore Backup. * Added a bug reporter to report bugs specific to a certain backup. * Backup path selector has been improved. * Split cwm apps+data can now be fully restored. * Fixed bug that prevented apps+data from being restored. * Clicking Compressed Backup under Extra Attributes now give you the option to decompress the backup. * Decompressing of backups has been improved. * Fixed bug that prevented data from being extracted from backups in some cases. * Added support for cwm backups stored in the custom_backup folder. * Read speed for split CWM backups has been greatly increased. * Extracting speed of data from split CWM has been greatly increased. * Fixed bug that prevented some folders from being viewed when selecting zips to flash. * Fixed bug that prevented files from being extracted from .dup format backups. Restoring of apps data from .dup style of backups should now work! * /mnt/shell/emulated/clockworkmod/ is now detectable. * Improved UI. All Holo dialogs should now have a dark theme. * Fix various other small bugs. * Fixed FC when doing first run of app on some devices. * Fixed various other bugs. * Compressed backup warning can now be set to not be shown anymore for backups. * Fixed bug that prevented the TWRP folder from being detected on some devices. * Fixed bug that prevented backups from being deleted on some devices. * Restore Apps+Data has been improved. * Split CWM backups are now displayed as non-split files in Explore Backup. * Fixed bug that prevented people from restoring their apps from nandroid backup if there were a lot of apps. * Fixed FC in Flash Zip(s). * Improved various UI elements. * Fixed FC caused by large last_log file. * Fixed detection of /data/media/clockworkmod on some devices. * Added info button to 'Restore Data' list items. Clicking the button will show a message dialog that will give a simple description of what each restore function does. * Files can now be extracted to Read Only partitions /data and /system. * Added link to XDA thread to preferences activity. * Added detection of PhilZ Touch recovery. * 'Download Recovery' will be removed until I can improved it to were it wont show wrong recoveries! * Flashing recovery has been improved. * Restore Nanadroid Backup has been improved for users using unofficial CWM and CWM based recoveries. * MD5 hashes can now regenerated for backups. * Added button for Convert Backup for future release. * Compress backup has been improved. Path where to save compressed backup can now be chosen. * Added a section to settings that gives credit to all the third party libraries that I use in this app! * Users can now request support for detection of their recovery if their recovery is not identified by clicking the detected recovery area under 'Recovery'. * Added detection of Thor recovery. * Fixed some issues with layouts. * Added Online Nandroid Backup link under tools. Merci du partage. J'ai titanium mais faudra que je trouve l'option. tos69400 a écrit: Merci du partage. J'ai titanium mais faudra que je trouve l'option. Envie de pouvoir extraire des données de vos nandroid backups ou de les visualiser ? Envie de flasher des zips sans redémarrer (manuellement) en recovery ? Cette app est faite pour vous !!! Je vais vous présenter cette app, Nandroid Manager Pro (il y a une version light mais je parlerai uniquement de la version pro, où toutes les fonctionnalités sont débloquées). /!\ Cette app nécessite d'être rooté et d'avoir busybox d'installé. Cette app permet de gérer vos nandroid backups (visualisations des sauvegardes présentes, suppression...), de les explorer voire d'en extraire des données ou de les restaurer dans votre config actuelle. 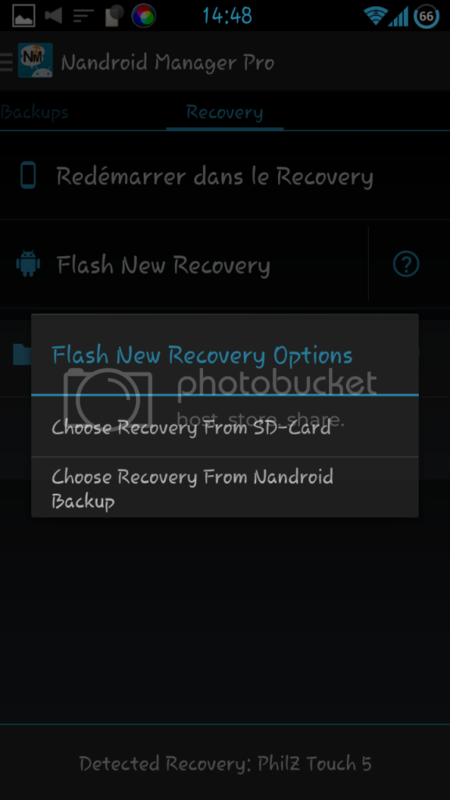 Les nandroid backups supportés sont ceux faits à partir des recovery basés sur CWM ou TWRP. Perso j'utilise Philz qui est un recovery dérivé de CWM, mes nandroid backups sont donc éligibles. L'écran d'accueil de l'app (onglet backup) : il affiche la liste des backups reconnus. Ecrans qui s'affichent après avoir cliqué sur un des backups. Perso, je me suis bricolé un zip pour formater la partition /cache et le dalvik cache sur mon tél, ça marche très bien !!! Certaines apps permettent de flasher de cette manière comme par exemple Mobile Odin Pro mais je trouve son prix prohibitif pour l'usage que j'en aurai perso (je ne flashe pas de ROM stock directement via mon tél). Quant à l'exploration de nandroid backup, celle-ci est la seule que je connaisse qui marche sous Android 4.1.2 (et ultérieurs je pense). De plus, la manipulation de données (exploration des fichiers ou des données en mode "lisible") est une ENORME valeur ajoutée. Dernière édition par jhowlett468 le 16 Fév 2014, 20:16, édité 6 fois. franck_29 a écrit: Merci ! Bah de rien et merci à toi !!! 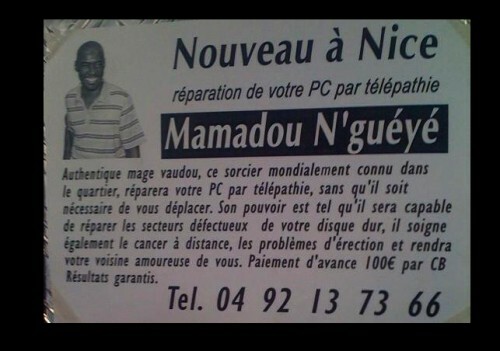 J'attends des retours d'autres utilisateurs !! !